Endurance Nation hosts an hour long twitter chat every 1st and 3rd Mondays starting at 8PM EST. Giving twitter followers a chance to learn new information, share their own insights and possibly win one of the many give-a-ways offered within the chat. 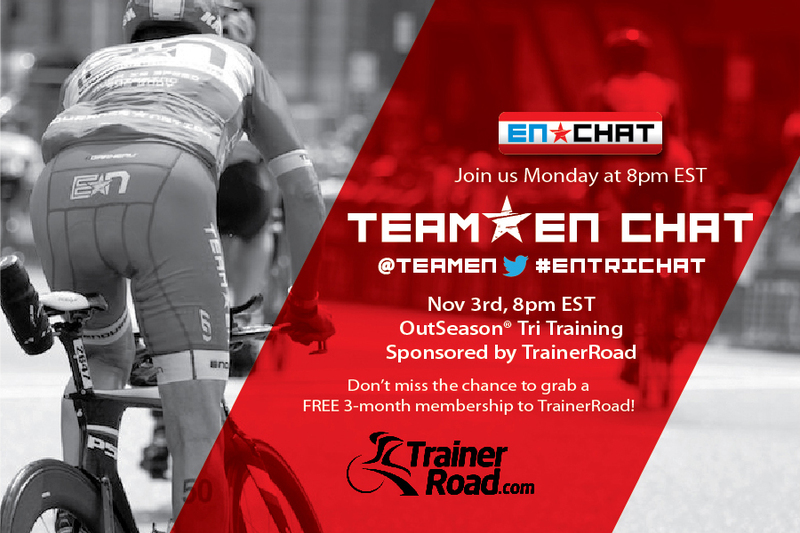 November 3, 2014 Twitter chat was sponsored by TrainerRoad where we discussed OutSeason® Triathlon Training. Inside Endurance Nation, the OutSeason is a chance to set yourself apart from the rest of the athletes that are taking an off season. Endurance Nation has partnered with TrainerRoad to offer our athletes their OutSeason workouts in TR for members use only. This feature has been a game changer for our members as we make them stronger and faster athletes.